It’s no secret Iceland is a top destination for travelers these days. With it’s dramatic landscapes of lava fields, glaciers, and waterfalls, Iceland is a photographers dream! While this list could EASILY be over 100 places long, I’ve narrowed it down to my favorite photography locations that are picture-perfect for your Instagram feed. And make sure to use my hashtag #icelandwithaveiw to have your beautiful photos featured on my account! The iconic church in downtown Reykjavik can be found in the skyline of the city. While most people make it over to photograph the stunning pillars on the outside of the church, make sure to pay the small fee to ride to the top. The colorful rooftops over the city are right out of a storybook! One of the most popular stops on the South coast is this stunning waterfall. What makes it unique is you can walk behind it, and this makes for amazing photos! Note: you will need a wide angle lens to capture it all! I love love LOVE the painted mountains of Landmannalaugar. Located in the interior of Iceland, this gem is a little trickier to get to. If you want incredible hiking, and even more incredible views, you have to make your way to landmannalaugar! The most historical area of Iceland is in Thingvellir where the old parliament buildings are. Thingvellir is also where you can walk (and dive!) between tectonic plates – where the North American and Eurasian plates come together. This is a gorgeous area to walk around – photo ops everywhere! If I could recommend ONE thing it would be to make the drive to Jokulsarlon Glacier Lagoon. This is a magnificent sight to see – icebergs breaking from the glacier and floating in a lagoon before pushed out to sea. The diamond beach across the road is equally as impressive. I could spend hours here running around with my camera! I have three favorite towns in Iceland, and this is one of them. Helloooo adorable! The colorful houses, the boats in the harbor, and the lighthouse that overlooks it all – I LOVE Stykkisholmur! I definitely have an obsession with waterfalls. And while there are THOUSANDS of waterfalls in Iceland, I have to say this is the most impressive. 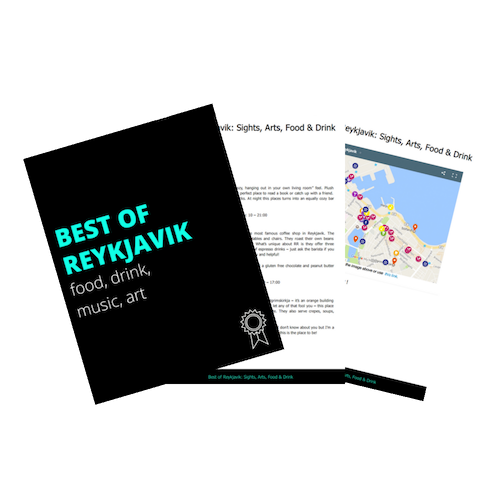 Located in the breathtaking Westfjords, this one is really difficult to get to, but worth every single minute! Most people will recognize this place as it is know as the most photographed mountain in all of Iceland! It’s easy to see why – the unique pyramid shape with the beautiful waterfalls in the foreground. Summer, winter, northern lights…there’s not a bad time to visit this mountain! Although it’s more difficult to get to after the access road closed, this abandoned plane wreck is a sight to see. The U.S. Army had a base in Keflavik in World War II and a plane went down in bad weather during a test run. Luckily everyone survived, but they stripped the plane of it’s usable parts and left the remains. Remember when I told you I had three favorite towns in Iceland? This is another one! Adorable houses, check. Delicious food, check. IN a massive fjord, check! Even though it’s a bit out of the way, Seydisfjordur is a quintessential Icelandic small town. HIGHLY recommend! Of course everyone that visits Iceland wants to see a black sand beach! Vík is not far from Reykjavik and has the most iconic one – with basalt stacks and all. Just a warning: DO NOT get close to the waves – several people have died here because of carelessness! Hot spring in a cave? It’s too hot to swim, but GORGEOUS in photos! Remember my obsession with waterfalls, and combine that with visiting places off the beaten path and you have one of my favorite waterfalls. Háifoss requires a 4×4 to drive to, so most people don’t take the time. If you are headed this way, I promise it will be worth it! Are the northern lights on your bucket list? Well then you are in luck because Iceland is one of the best places in the world to see them! The best months are between September and April, and anytime we get to see these beauties is certainly a day maker! Question: What are you most looking forward to photographing in Iceland? Wow these pictures just make me want to go more and more!!!!!!!!!!!!!!!! I know, everything is so picturesque! wow these are incredible. I just got a new camera and am planning to visit Iceland this summer so these are great tips for me 🙂 ! Ugh, just take me there now!! Haha. It’s so beautiful and I’m marking all of these places down in my must-sees for when I do eventually go to Iceland. Haha I hear you Hannah. Like, how can all of these different things exist in one country?! This post is making me want to visit Iceland even more! It looks so natural and beautiful. I particularly like the look of Dynjandi; was it a long hike to get there? SO natural, that’s exactly right Tasha! Dynjandi is incredible and it’s so easy to get to! Just a small walk up the hill actually – minimal hiking required! It all looks amazing, but Landmannalauger looks like somewhere I need to be as soon as possible! That looks like an awesome place to go hiking and take pictures! Exactly Megan, Landamannalaugar is SO beautiful and unique! If you like hiking then yes this is the place you need to go on your trip! Iceland just looks SO beautiful! We have nonstop flights starting this fall – I’m hoping to make it happen! Those basalt stacks remind me a bit of Giant’s Causeway in Northern Ireland. Thanks for the roundup! My Iceland adventure is still at least a year off (broke grad student life…) but seeing posts like this make me so excited! Exactly Lynnae, they are a lot like Giants Causeway. Actually minus the trees, Iceland and Ireland have a lot of similarities in their landscapes! Wow Iceland is breathtaking!!! I have never been but it’s in my bucket list ! Ty for sharing these beautiful pictures! You clearly saved the best for last! This is such a great post! Love the idea, the map & the photos. Omg right?! Ahhhh, Northern Lights have my heart! Great post! Love the cute little towns. Iceland is such a beautiful country! Thanks Liliane – I love the the colorful houses against the Nordic/gray landscape of Iceland. Such a beautiful contrast! Oh my goodness all the little villages are so cute! I’d love to stay in them, especially a house with a bright colored roof! 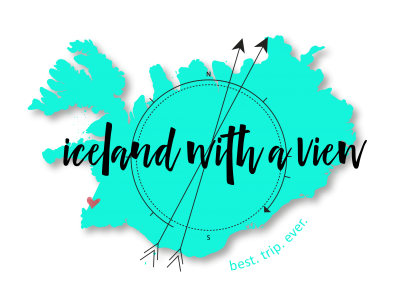 Awesome post and I’ll definitely be revisiting it when I plan on going to Iceland!